Listen up! In this fun quiz game it's all about your ears! Your task is to find the correct solution to each level. Look at the pixelated image and carefully listen to the sound. Can you identify its source? Use the jumbled letters below the picture to type in the correct word and buy some hints in case you get stuck. 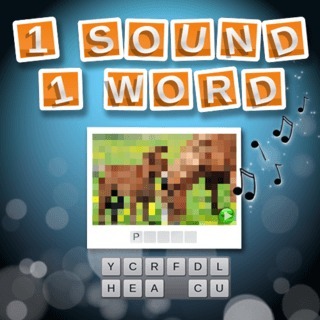 More than 100 levels are waiting for you - can you guess all sounds?